Description: Infographics use colorful graphics and charts to present data and ideas. 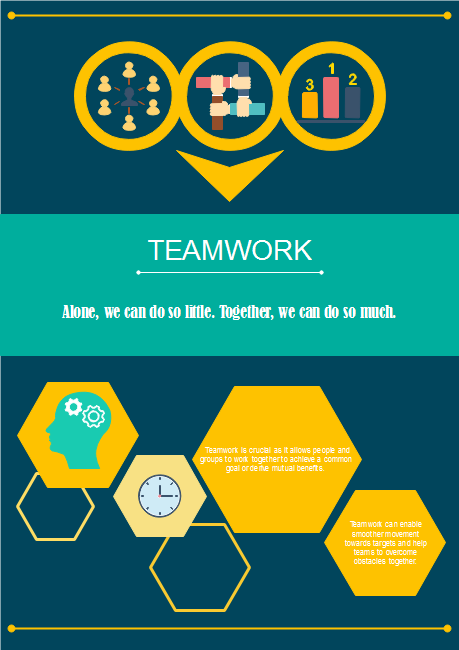 This teamwork infographic template is offered for free. If you have installed Edraw, you can edit this template directly, or add more elements from the predefined library. You can also customize the page size, add text blocks, insert charts and graphs as you like. Design compelling infographics with our selection of premium infographic templates. Edraw allows you to visualize infomation with professional infographic design.